colors, lights, and shades; these I saw. This. Quoted from an old gravestone in Cumberland, England, and used as the final text in Frank C. Craighead, Jr’s book For Everything There Is A Season: The Sequence of Natural Events in the Grand Teton-Yellowstone Area. I watched an eagle soar past my window the other day. Always there are birds in my window view. But the magnificent flight of an eagle….gives me pause every time. This one held its dinner firmly in grasp as it flew past. Life. And death. 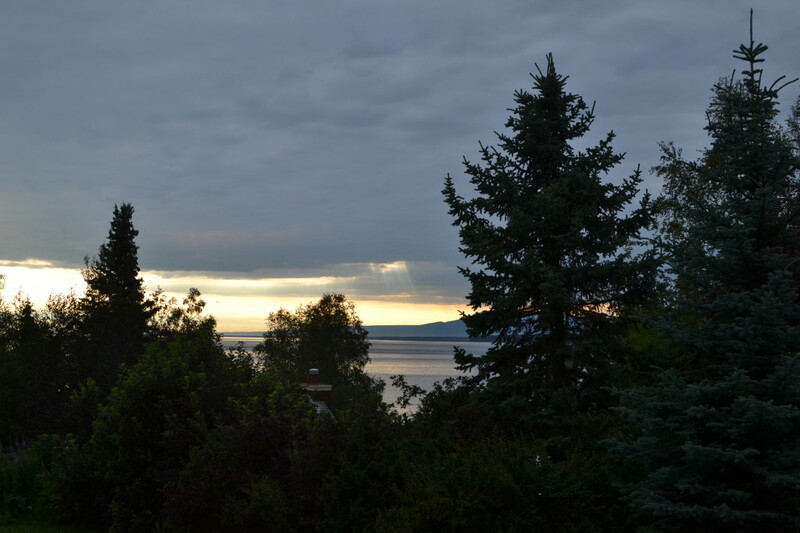 My great big windows have been such a gift during our time in Alaska. They allow me to easily observe the changing seasons (some are significantly longer than others!) and as month follows month and year follows year, I am learning to anticipate what’s next. I’m discovering that this familiarity allows me to build on my understanding and knowledge. 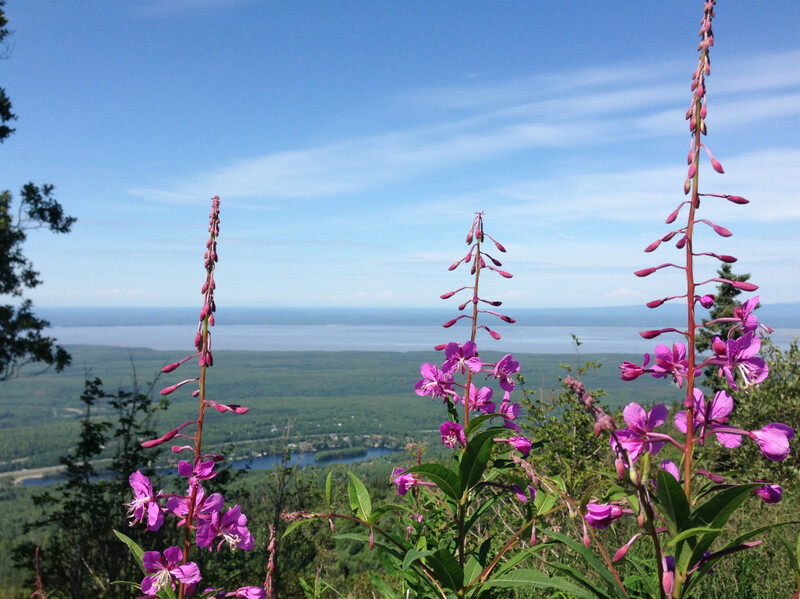 For instance, last summer I snapped this photo of the fireweed on a hike to Mt Baldy in late July. At that time, I had learned its name. I also knew that I have a bank of it in my window view and it is scattered all through the ditches of my neighborhood. What I did NOT know was the common local lore attached. After attending a class at the Botanical Garden, Ryan recently began muttering about the countdown to the end of summer now that the fireweed is in bloom. 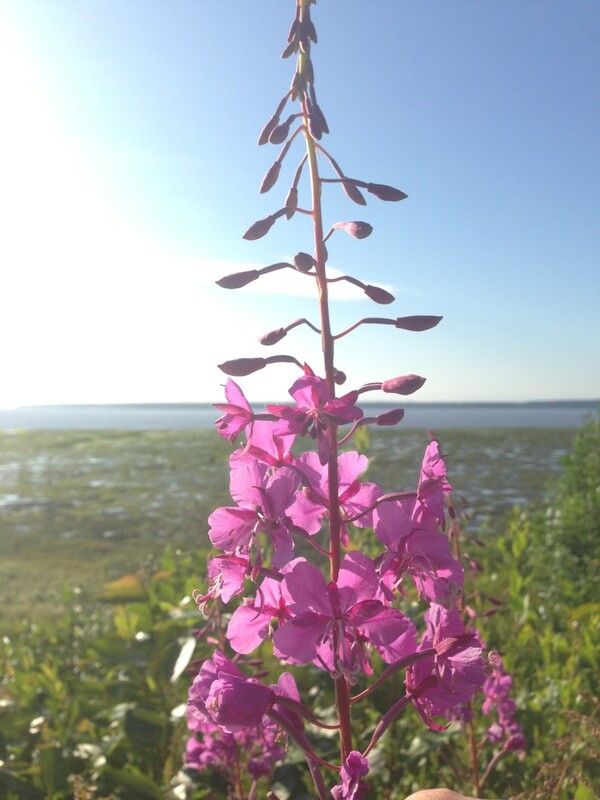 Then David came home one night this past week and commented that a co-worker told him the fireweed has come early this year, and so then shall winter. It was time to go to the interwebs for more…. Now I’ll be watching more closely. And marking time. Winter dark is coming our way. But! I have new skis and hopes for good health. I’m gonna be okay.